Operation Christmas Child 2018 is in full swing! Drop off your boxes to the church office – look for the collection tent in front. Read about Operation Christmas Child 2017 below. We can’t wait to share stories from this year’s effort to love God and love people through this worthy mission effort! 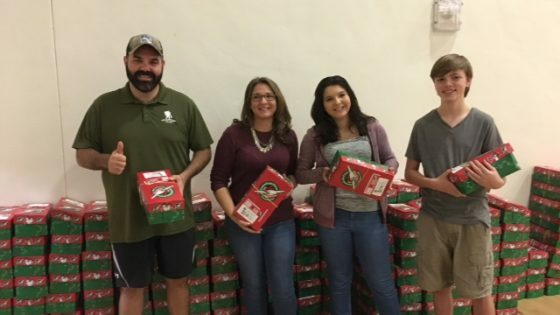 We were privileged to not only collect shoe boxes for Operation Christmas Child this year, but we were also selected to be a drop-off location. This meant all hands on deck! Our Drop-Off Location coordinator, Terry Maguire, sprang into action organizing every logistical detail and gathering a team of volunteers to help support this community effort. As Terry said, it was all about following through on our mission to Love God, Love People, Connect with our Community, and Connect our Community with Jesus. Here’s a note from Terry along with a recap of the numbers. Our goal was to collect 1000 boxes and we almost tripled that number! I can’t wait to implement plans for Operation Christmas Child 2018 which will include a congregational goal of 500 boxes alone. Thank you again for the support this year! Good evening From Grace Community Church Boca Raton. The family pictured below dropped off 202 Shoeboxes tonight! They organized a packing party last weekend, provided the boxes, and had many friends from different religions join to pack these LOVE GIFTS! Then they registered them so they can track them to their child! Another family dropped off three boxes, each with a personalized note from the family children. We collected 654 boxes tonight and prayed over each one of them! Good morning, here is Grace Community Church’s first story! A young lady dropped off her first shoebox box this morning. She was not raised in a Christian home. Several years ago she was called to The Lord and became a Christian. Today, in addition to packing her first Operation Christmas Child shoebox, she visited a church for the FIRST time! We prayed for the child the shoebox was made for, and we prayed for her! God is at work! When I dropped off my Samaritan’s Christmas box off yesterday I was a little distracted. When the gentleman offered to pray for the box (how touching) and for any concerns I had, I was shocked. I was on my way to the mechanic, and was sure it was going to be bad news. Bad for me, my 2003 Honda and most of all my budget. How did he know? But after the prayer, and leaving the church, I felt a sense of relief. God had been through far worse situations with me in the past, and was beside me now. My trustworthy mechanic examined my car, said it was “nothing, don’t worry” and charged me nothing! What I had intended to pay toward any repairs will go in the “plate” this Sunday. Thank you for your dedication and your staff of caring people. Email us your Operation Christmas Child photo or story! 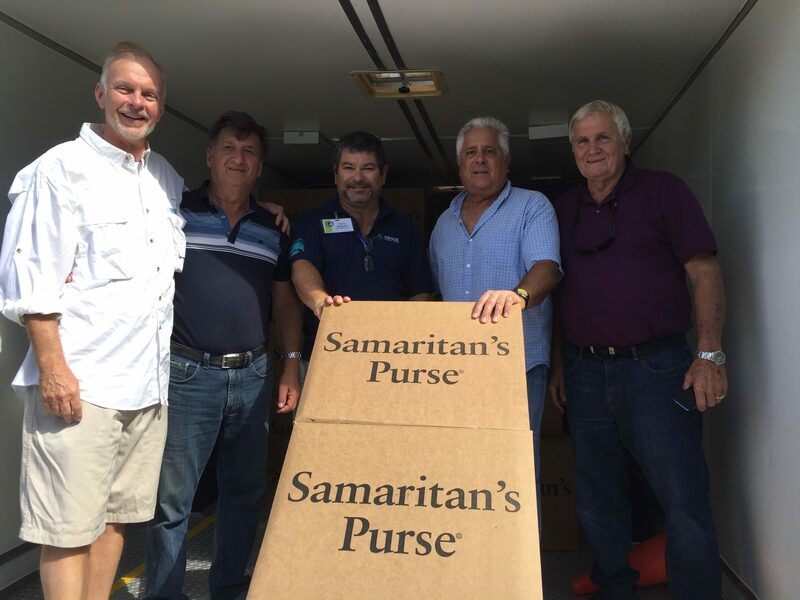 Please continue to pray as these boxes are being prepared to get distributed in December. We look forward to how God will use the good news contained in these boxes for His glory and for the good of these children!